RNLB Herbert Leigh (1951) is a self-righting Watson class lifeboat. Her length overall is 46 ft. 9 ins. 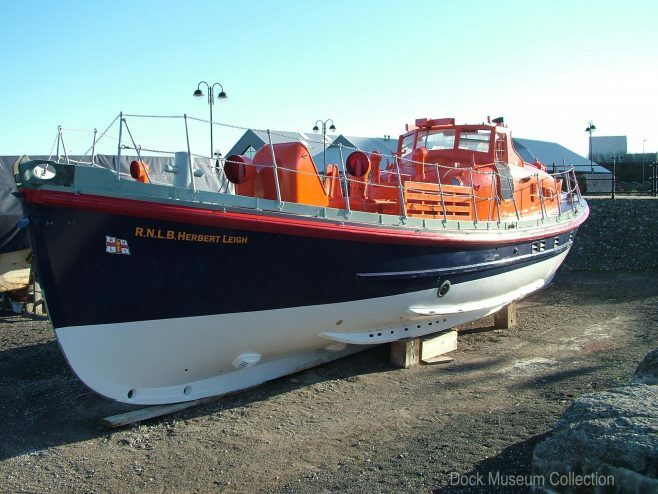 Her Royal National Lifeboat Institution number is 900. She has a double diagonal hull. She served the Barrow station between 1952-1988 and was launched on service 136 times and saved 71 lives. Herbert Leigh was added to the Designated Vessels list of the National Historic Ships Committee in 2005.